Is Home Health Care Better Than a Nursing Home? Home health care is a unique option for those that need a bit of extra care. With Nova Home Health Care, we’ll send a skilled, trained, certified caretaker to your home to provide the care you need and the comfort you desire. 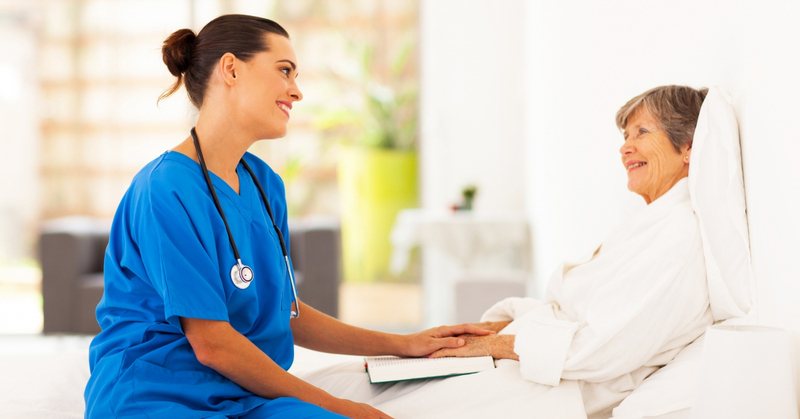 Let’s dig into a few of the benefits of home health care over nursing home residency. People love to be independent. With home health care, you can retain your independence. Our caretakers are there for you when you need them; otherwise, you can navigate through your day-to-day as you normally would. If you love your home, it’s likely that you won’t want to pick up and move to a nursing home for extended care. Instead, you can continue to live the lifestyle that you enjoy, and you can count on the care of our healthcare professionals. We have skilled nurses, speech therapists, physical therapists, dietitians, home health aides, and occupational therapists on staff. That means that you can get all of the care that you need, all under one roof: Yours. Nursing homes are quite costly. Since you’ll have to rent a space while paying for caretaking services, at-home health care can be a far less expensive option. So, at-home care isn’t just more convenient, it’s also less expensive than nursing home care. If you’re curious about our in-home caretaking rates, don’t hesitate to inquire. Your abode is more than just a house, it’s a home. It’s comfortable, cozy, warm, and familiar. We understand that folks love the comfort of their homes. Think about it. You have all of the amenities that you love. You love bird watching out the southern window of your home by morning. And you love to spend dusk hours filling out the crossword by the fireplace. It’s comfortable! That’s why we cater to that comfort with our at-home caretaking services. With Nova Home Health Care, you can customize our at-home care as you’d like. Since we have a variety of caretaking professionals on our team, we can cater to your exact needs. So, regardless of your physical health, one of our professionals will be perfectly suited to assist you. Again, we have skilled nurses, speech therapists, physical therapists, dietitians, home health aides, and occupational therapists on staff. With many illnesses and injuries, our clients simply need time to transition back to full health. If, for example, you’ve recently had a hip replaced, you may only need physical therapy and some personal care for a few months as you recover from the surgery. Or perhaps you have a gastrointestinal illness. Our dietitian will collaborate with you to give you the nutrition you need to make a full recovery. Unlike making the move to a nursing home, at-home healthcare is the ideal solution for folks transitioning from illness and injury to full health. We can even slowly fade out our caretaking services as necessary, so as you recuperate, you can regain full independence. If you require immediate care or regular care every day, a nursing facility may better suit your needs. With nursing staff constantly on call, nursing homes provide unique, immediate access to care 24/7. For this reason, nursing homes and facilities may be best for those suffering from more severe injuries and illnesses. Similarly, if you require specialized equipment, you may have to move into a nursing facility. Some healthcare equipment is either too expensive or too bulky to move into your home. If that’s the case, you may have to reside in a nursing home to receive continual care. Here at Nova HHC, we specialize in providing at-home caregiving services for folks throughout Fairfax and the surrounding area. If you’d like to receive care from the comfort of your home, we can help. We strive to be the first choice for families by providing unparalleled care and convenience. We have a diverse staff of well-trained, experienced, certified professionals. Learn what sets Nova HHC apart, learn about our caretaking services and call for special first-time offers!